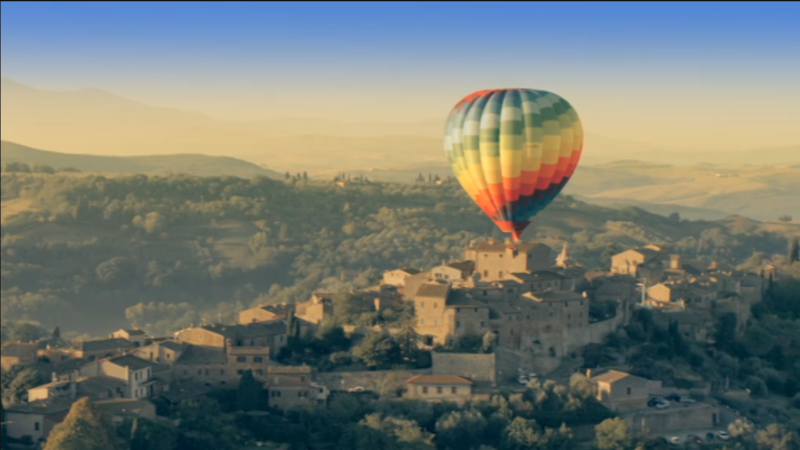 We had a wonderful experience when Made in Chelsea filmed an episode in Tuscany. 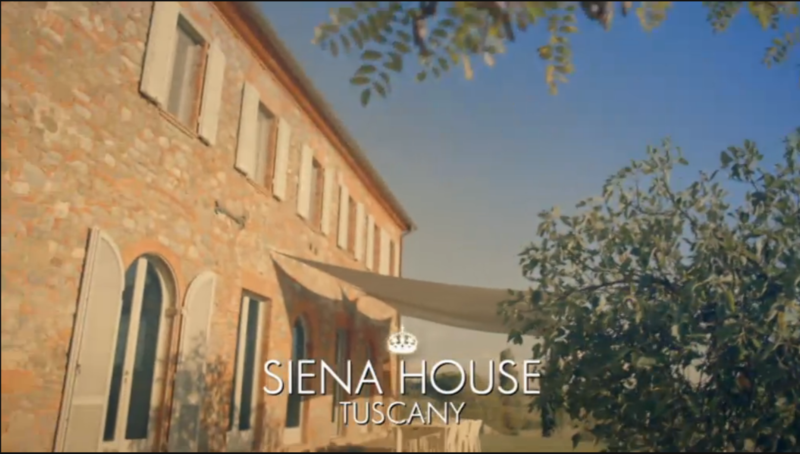 The cast used the house as their Tuscany Villa and filmed some scenes here at the house. It was early October, and the weather was glorious – as is typically the case. 2 cast members arrive by balloon! 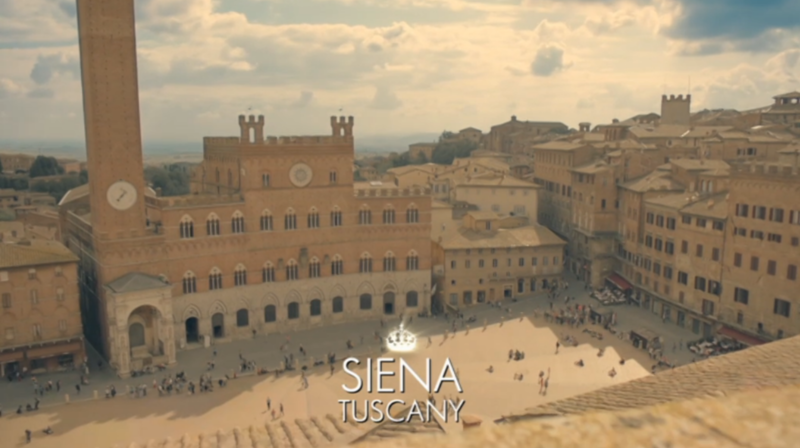 The cast enjoyed many of the same visits and activities as do our guests, such as an afternoon stroll and gelato in the glorious Piazza del Campo – returning ‘home’ for sunset relax with a glass of bubbly in the garden at Siena House. We helped with our usual comprehensive concierge skills proposing activities and locations and assisting in the very same way we do with all of our guests. White Truffle hunting ‘date’ with guidance from our truffle hunter ! Our fantastic intro in the show! On the final night a Jazz Dinner was the scene for a birthday celebration and Amanda prepared the White Truffles Pasta that was served. 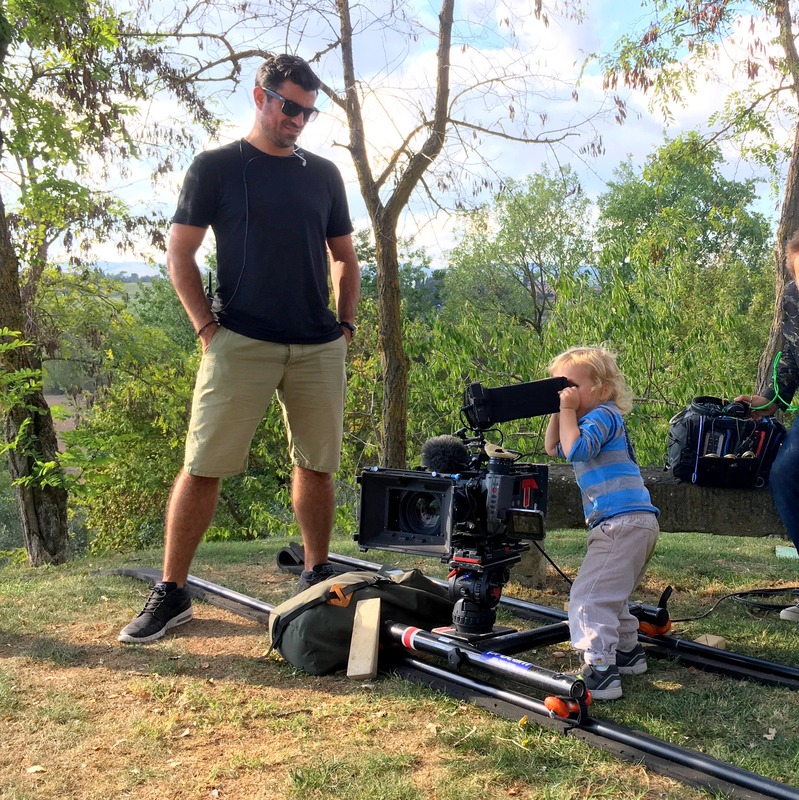 6 crazy busy days but it was really so much fun to have Siena House used as a Tuscany film set, we absolutely loved it and so did the crew; who enjoyed the huge open spaces inside – the kitchen was transformed into something of a production studio. If you want to seek out the episode look for series 14 episode 6. Siena House is a very different place to stay in Tuscany. 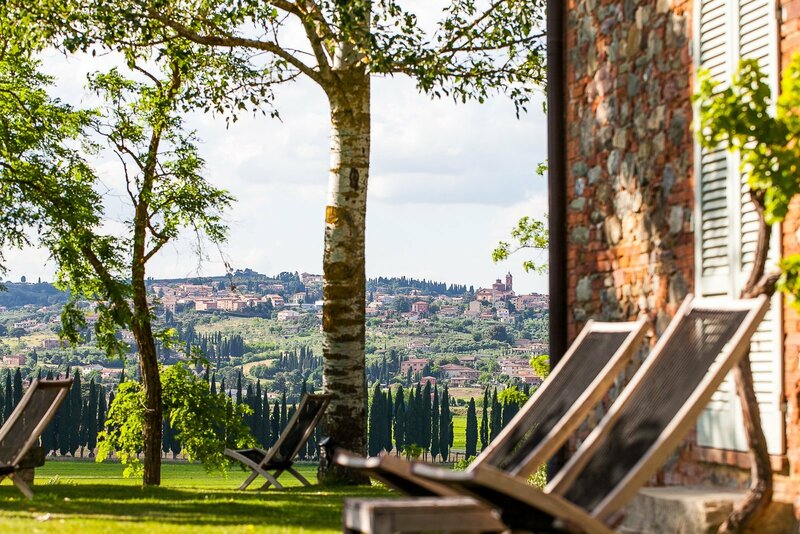 A truly boutique hotel in a great touring location, perfectly positioned for Southern Tuscany’s most wanted wines, landscapes and hilltowns – or for doing nothing at all. Peaceful and private, this is a gated property with large saltwater pool, beautiful rooms and views run by a British couple.